Satnav manufacturer Mio has teamed up with Skoda to get its navigation devices into the car firm’s motors. Under the terms of the deal, anyone buying a new Fabia, Fabia Combi or Roomster Skoda will soon be able ask that a Mio satnav be installed. 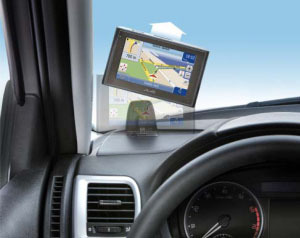 The satnav’s been developed especially for Skoda, although it’s believed to be similar to existing Mio devices. An “active cradle” slots into the car’s dashboard and eliminates the need for a windscreen suction cup. The cradle also hides and satnav cables behind the dashboard. Safety buffs will even be reassured to know that the cradle’s successfully passed a Euro NCAP crash test. 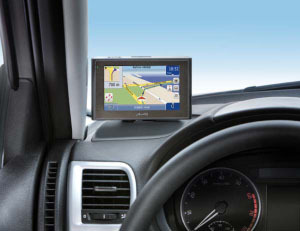 Mio’s active cradle satnav will be available to Skoda drivers from next month, priced at €300 (£233/$405). No jokes about it telling you which way to push the car home, please.